Xfire has had a bumpy road over the last five-plus years. Back in 2006, Viacom bought Xfire for $102 million. In 2010, Titan Gaming took over ownership. Then, in October of last year, Xfire raising an additional $4M from Intel Capital and split off to become its own independent company. Again. Full-circle, and somewhat back to “square one” in just about five years. But not without some progress, as Xfire today continues to connect more than six million gamers each month, allowing them to share video, pictures and chat in-games. Looking to capitalize on its growing user base, Xfire today appointed a new CEO, Malcolm CasSelle, and announced a new partnership through which it intends to bring its social gaming experience to China, along with the exploding gaming markets across Asia. CasSelle is formerly the director of Hong Kong-based Capital Union Investments, where he managed private direct investments into late-stage web companies, and was a top executive at Groupon’s joint venture with Chinese instant messaging and gaming giant Tencent, managing most of Eastern China. The new chief exec believes that there is a big growth opportunity for Xfire in the Chinese market, and he will be using his investment and management experience to forge new partnerships and business ventures for Xfire both in China and across Asia. To get things started, the company is announcing a joint venture with Beijing’s “China Youth Goyor Technology Company,” which will be led by CasSelle with the goal of bringing Xfire’s services to China’s market for some 400 million gamers. In other words, this means that Xfire will be the first American company to support in-game chat tools for Chinese gamers — using Chinese characters. This is an important in-road into the gaming market in China, allowing Xfire to tap into the droves of young Chinese web users looking to play games both on the Web and on PCs. Because Xfire already offers its social gaming experience inside 2,500 PC games, and over 21 million gamers have downloaded its app, this is right in the company’s wheelhouse. 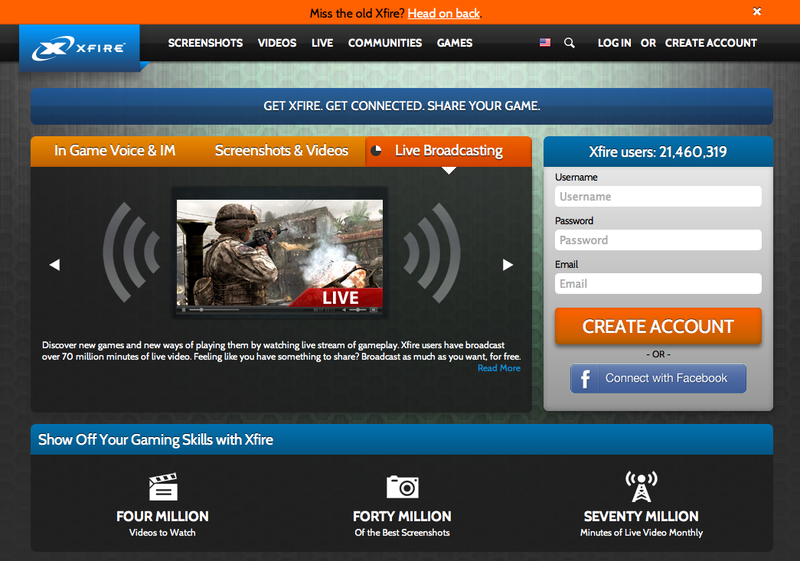 As Xfire provides a social communication platform for gamers that includes group text, voice chats, and UGC-sharing tools for screenshots, videos, and live game broadcasts, it gives young gamers in China the ability to take advantage of social functionality that hasn’t yet totally infused the domestic gaming experience. It’s also huge that Xfire will be offering its services in Chinese characters, adding that much-needed locally-tailored aspect to its product — something many American companies struggle with when moving abroad, specifically to Asian markets. For more, visit Xfire at home here, or check out the release here.